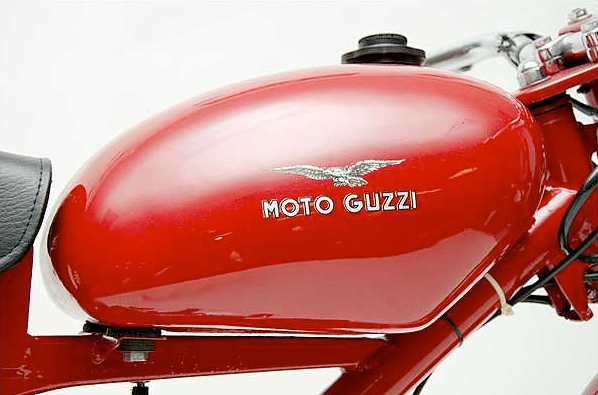 Moto Guzzi was started by two aircraft pilots and their mechanic in 1921. 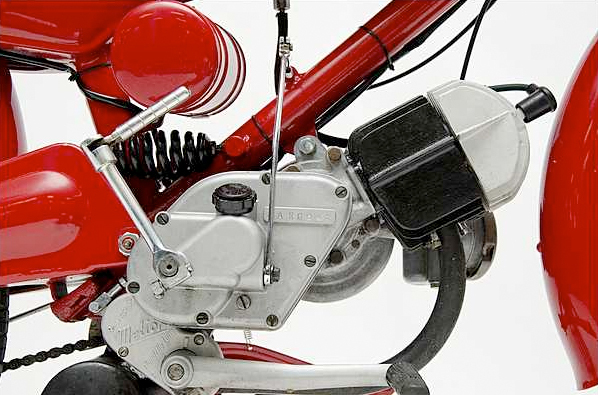 It has a storied history when it comes to motorcycle racing and manufacturing – first motorcycle eight-cylinder engine, and the first motorcycle company to have a wind tunnel (back in 1950). 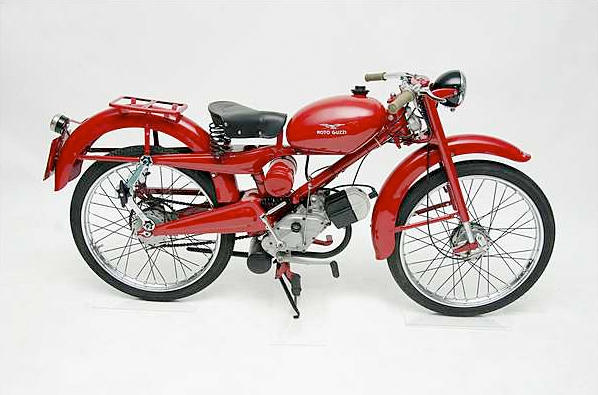 From the Michael Harper Collection of Tarzana, California, this 1957 Moto Guzzi Cardellino 65 is a fine example of the line which, in 1954, replaced the very successful 65 Guzzino (Little Guzzi), that sold over 200,000 models. 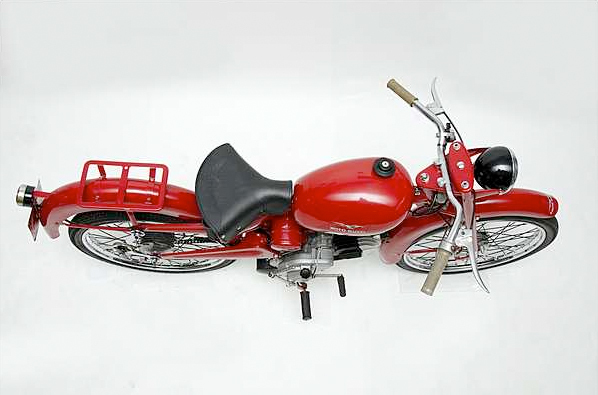 A 2-stroke, 3-speed motorcycle that uses old-fashioned 2-cycle oil mixed in a 20:1 ratio with regular gasoline.